When preparing for a long road trip like the Mongol Rally the biggest thing on everyone's mind is the amount of gear you need. A driver needs to be prepared for every situation and you don't want to be stranded in the desert for hours on end waiting for a car to come by. We were worried that we wouldn't have enough gear. 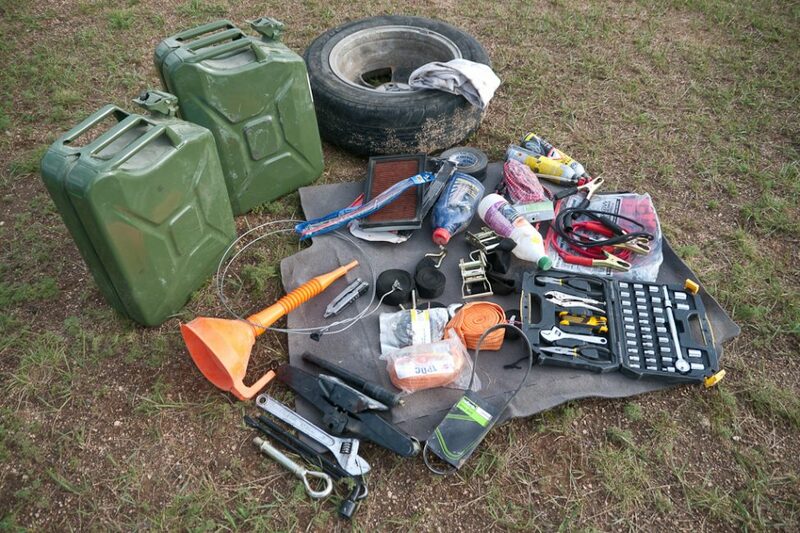 We had looked through people's Mongol Rally posts from previous years and couldn't believe the number of tools, spare parts and gear they were bringing. here was no way we even wanted to take that amount of gear. Yesterday we gave you some tips on how to prepare for a long road trip today we are going to tell you what gear we brought. Luckily, we had friends and family in the car business and we had talked to a friend that had driven around the world give us a few pointers. Sure you could bring everything under the sun to fix a car, but really are you capable of fixing it yourself? In many countries, people have no choice but to be able to fix their own car or at least in every village there is a mechanic. If you do run into problems, you will be able to find someone to help you out for a very affordable price! The first thing we did was ditch the idea of extra tires. They add an amazing amount of weight and 1 good spare tire is all that's needed. If you run into a flat, you can change the tire and then get it fixed in the next town. Carry a couple of cans of puncture seal with you as well. It will re-inflate the tire and seal the hole long enough for you to drive to the next destination. This will give you piece of mind in case you end up having more than 1 flat in a day before you can reach the next village. It can be pretty terrifying when driving through the desert and unsure of your route. If you take a wrong turn, you could go miles and miles before reaching any sort of civilization. An extra Jerry Can is a must. A metal one is highly recommended. It seals better, it is safer in extreme weather whereas a plastic one could expand in the heat and it is more durable. We never did need either of our extra cans of gas, but it did give us peace of mind in case we got lost. Make sure to have a funnel with you as well you can't just pour gas from a metal jerry can into the gas tank. And a funnel is good for all fluid changes. You must carry a lot of water with you. We originally had a large 10 liter collapsible container, but it sprung a leak. It didn't matter anyway because you can buy water anywhere. We would make sure to stock up on large bottles of water before we left any town. 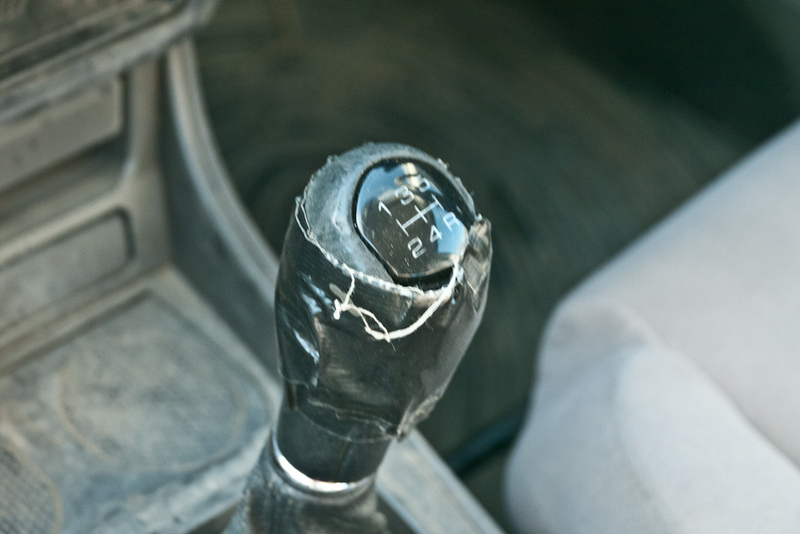 When driving on corrugated roads, through pot holes and rivers, you are bound to have something shake loose or tear off the bottom of the car. We had our exhaust break off and solid wire helped to secure it back onto the frame. 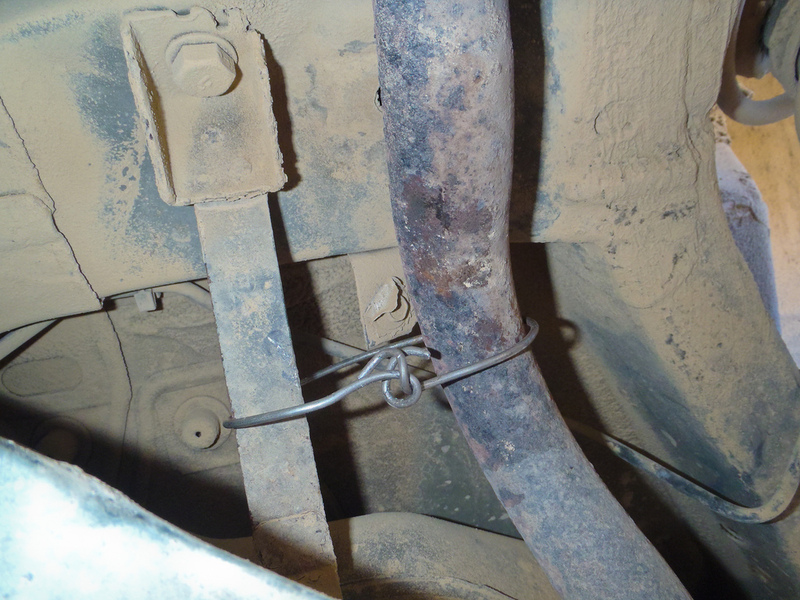 Once we got some strong fencing wire from a friendly local, we didn't have to secure our muffler again! After driving 10,000 miles through deserts, mountains and cities, you are bound to have something break or shake loose. An assortment of fasteners will be needed. Many people had clips break off their roof racks and had to ratchet strap their roof racks on. Some people had to duct tape their bumpers on and other had their front ends held on with bungee cords. There will come a day on any long road trip where you will need to tape, fasten or secure something back on, so having a few options with you is a good idea. When driving in developing countries, many times you will find that roads drive right through rivers. Sometimes rivers will be way too high for your car and you will need a transport truck to give you a tow. People are willing to tow travelers through anything for a small price. We were offered tows for less than $5. We ended up not needing them as the rivers weren't too high when we entered Mongolia, but you never know, when you might need it. Also, if you break down in the middle of nowhere, you will have to flag someone down and have them tow you to the next town to have a mechanic take a look at your car. Having a tow rope will make your life a lot easier. If you are driving a small car like we were. You will want a roof rack to store extra gear, camping equipment, and luggage. It helps to distribute the weight so that everything isn't on the back end of the car and you can lock your stuff into it and feel secure when you check into a hotel for the night. You will no doubt need a jump once in a while. Jumper cables are standard for any vehicle road trip or not. Extra Oil, Windshield Wiper Fluid, Antifreeze. It's good to have these to top up your car when needed. Pick yourself up a standard car toolkit at any auto store. It will have everything that you need and then you don't have to buy individual tools. These are the only two spare parts that we brought. Fan Belts are difficult to find and are car specific and although we didn't think about an air filter, our Irish Friends gave us one of theirs. Ours was pretty plugged up due to the intense dust and sand and we were grateful to change it. A multi-tool like a Leatherman is a great thing to have on hand. It has different screwdriver heads, knife, pliers, scissors. It's a great tool to keep in your car. We never would have thought of this, but another team gave us some and then when we were in Russia we went to an automotive store to buy some. It is a metal epoxy that fixes holes in the gas tank. Thenumbert of times we bottomed out on the tarmac, I am amazed that we didn't tear a hole in the gas tank or anything else. While we didn't need to use it, this will be a staple in all our future road trips. So there you have it, these are the tools we used and the parts we needed. Have you ever taken a long road trip? What spare parts did you bring and what did you do differently. We'd love to know to be even more well prepared for our upcoming driving trips. Mongolia – We Made it! 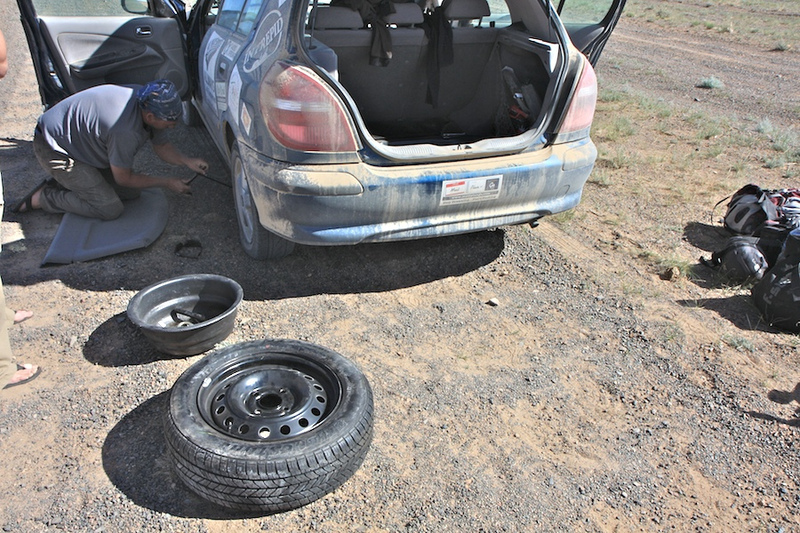 5 Responses to "Gear for the Mongol Rally, What you Really Need"
A refreshing read. We intend to do the Mongol Rally next year, yes I know we still have over a year to go, but plan ahead, we may actually finish it… Thanks. Excellent recap list…and so not a surprise to see Duct tape. I think that might be the first thing I’d throw in the trunk. However, one thing I didn’t seem mentioned is “guts.” It certainly takes some to embark on this type of adventure. Congrats for completing it and thanks for the posts along the way. Kudos to the SMS team. A roof rack would be really nice to have on a long road trip. Scott and I usually make a bed in the back of my 4-Runner for the person who is isn’t driving to relax, but with all of our bags and surfboards, it tends to get a little crowded back there! 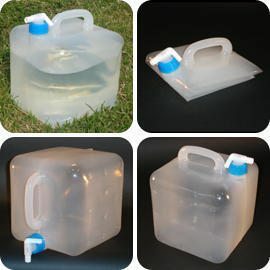 I love that collapsible water container. I’m guessing they are not the best though since it sprung a leak?